One of the identified risk factors for accelerating parasite resistance to drenches is drenching adult sheep. Another risk factor is using a long-acting drench product. So combined, these two production tools have a very high risk of selecting for parasite resistance to the drenches used on your farm when used incorrectly. Trials and modelling from AgResearch have confirmed this. To understand why it is such a common management tool, we need to delve a little deeper. Many other trials have shown that ewes with twins benefit greatly from a long-acting drench pre-lambing. 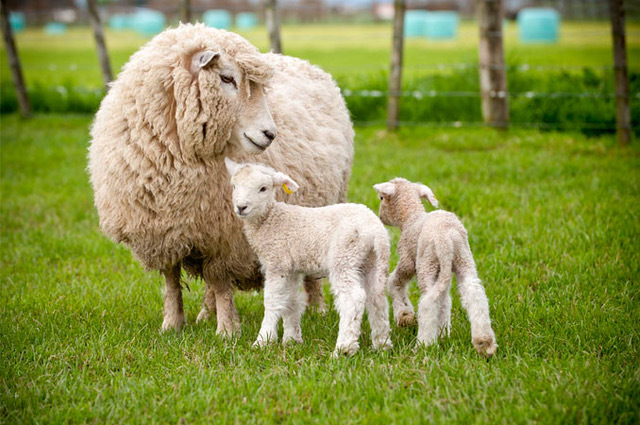 The immunity of the ewe to parasites lowers around lambing which enables parasites to establish and affect their milk production and therefore the growth of their lambs. The parasites also contribute to the larval contamination for the next generation of lambs and the ewes are visibly daggier. Without the presence of drench resistance, the products work so well it is often hard to consider their removal. However, the benefits of long-acting drenches aren’t the same in all ewes. The benefits are greatest in young ewes which makes sense as young animals have a less established immune system and are still growing themselves. Most pre-lamb drench trials have been done in two tooth twinning ewes and usually show a large cost benefit as larger lambs are ready for slaughter sooner. This is rightly extrapolated to having positive benefits for triplet ewes and lambing replacement hoggets. So long as long-acting drenches are used pre-lambing in the correct manner to these two categories of sheep, the production benefits should greatly outweigh the risk of parasite resistance. Using refugia (untreated older ewes lambing with them for example) is one important tool to reduce the risk. However, there are other important things to consider. Drenching mixed aged and older sheep is not guaranteed to produce a positive outcome and so the risk usually outweighs this management tool. The same applies to drenching ewes having single lambs with a long-acting drench pre-lambing and is not advisable. Of course, it is tempting to drench these categories of ewes for some slightly heavier lambs at weaning that may be ready a few days earlier. The costs of the long-acting drench are easily calculated. But not the cost of developing drench resistance on your property. Another factor to consider is the recommendation that ewes treated with a long-acting drench pre-lambing are drenched with a follow-up exit drench when the product has finished releasing drench. This is usually around 100 days post application. Depending on your farm drench resistance status, a triple drench may not be fully effective and so a novel drench like Zolvix plus may be required. These ewes, especially if mixed aged, are likely to have put on a few extra kilos and so the cost of this expensive exit drench must be included in the exercise. Too often this exit drench is forgotten. Other factors to consider are the genetics of your sheep. If your ram breeder does not drench their ewes pre-lambing (which is encouraged) and they are run on similar country, then should you need to? 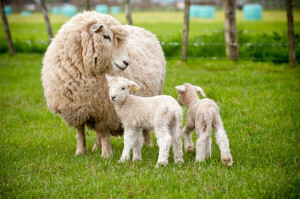 Ewe condition is often cited as a reason for drenching ewes pre-lambing. Trials are variable on the benefit of targeting lighter ewes as heavier ewes produce more milk and a heavier lamb when drenched. Remember drench is not a feed. It can help with a feed pinch, but winter feed planning and condition scoring of ewes and preferentially feeding lighter ewes is far more important than drenching. And far more sustainable. However, if you are currently drenching a large percentage of ewes pre-lambing that fall into low benefit/ high-risk category, then get some advice from your animal health professional around tools to reduce this reliance in a planned and staged manner.